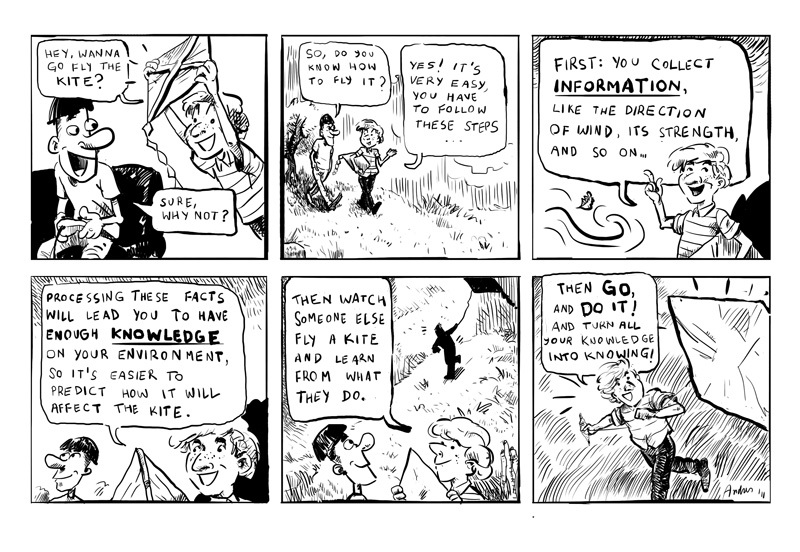 Why Creativity in Higher Education? Academic's devote a substantial part of their lives to thinking and writing (crystallising and making sense of their thoughts) about something that interests and/or disturbs them. All this effort boils down to achieving something which they value and they are willing to spend a chunk of their life grappling with. The creative process of bringing words and ideas into existence and representing, organising and communicating them in ways that make sense to me, and hopefully others, is an important part of my own creativity. The idea of ‘moving an idea from one state to another’ captures my imagination and underlies many of the things I try to do. Dellas, M., and Gaier, E.L. (1970) “Identification of Creativity in the Individual.” Psychological Bulletin, 73, p. 55-73. 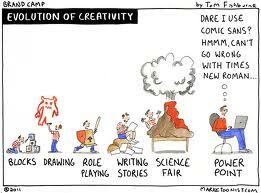 The educational trajectory of my life as an educator has focused on three main themes one of which is creativity. In fact, as I explain below, my exploration of the idea of creativity is closely linked to the other interests I have given attention to, namely the ideas of lifewide learning and education, and change. Why creativity? I think I have always valued and appreciated my own, and other people's creativity even before I spent any time thinking about it. I also believe that my creativity is integral to who I am and who I want to be. The joy I gain from my work is because much of it fulfils my desire to be creative. Like many academics I turned my research into a hobby and it never felt like work. Something which people who are not academics sometimes struggle to understand. 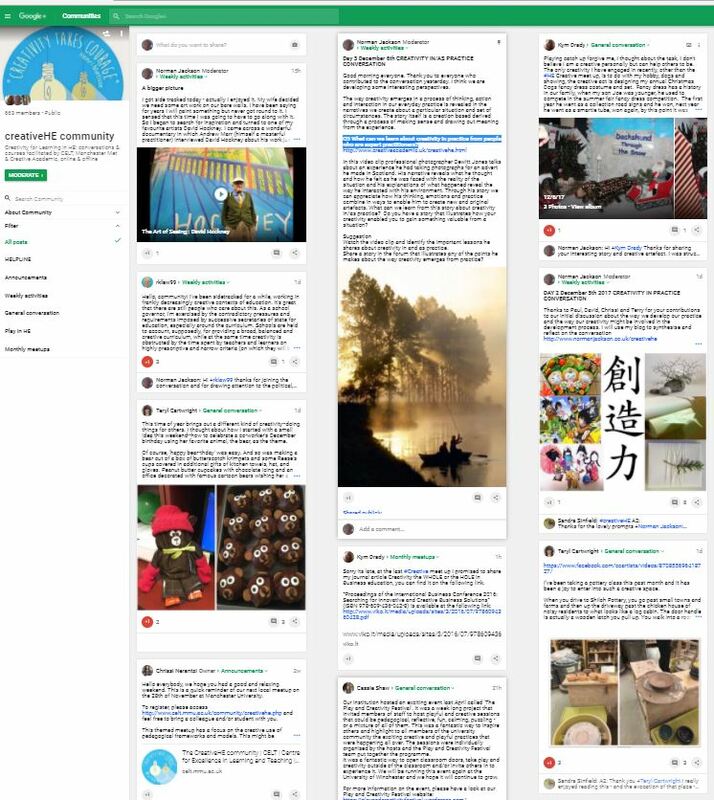 The creation of this website for example is part of this creative enterprise. I think I became a geologist because the very act of being a geologist involves a lot of imagination and creative thinking as well as critical reasoning and synthesis. Following my mid career change which brought me to higher education as a field of study as well as practice it took me a long time to develop my knowledge and understanding of higher education so that I could make an original contribution to this field. If I was to mark a point where I became more deeply interested in the idea and practice of creativity in higher education, it stemmed from my work with the Quality Assurance Agency (1997-2000). One of my tasks was to develop the policy of programme specifications, which I saw as an aid to the design of learning experiences, teaching and assessment strategies. Unfortunately, others more powerful than I was, wanted them to be a tool for accountability in line with Government thinking. In developing this policy I began to realise that deep intangible but important things like students' creative development were not being valued or recognised in the higher education curriculum. And this disturbed me. Creativity in Higher Education: creativity and teaching My move to the Learning and Teaching Support Network (2000), and later the Higher Education Academy (2003), gave me the freedom and resources to create a programme of community-based development work formed around the curriculum and its role in enabling students' creative development. In January 2002 I held a meeting which led to the formation of a network called the imaginative curriculum network. We held a series of events and explored, with university and college teachers, their understandings of what being creative meant, and how they taught, facilitated and assessed students' creative development. A number of working papers were produced through this collaborative process. If creativity is central to being, then higher education needs to understand what it means to be creative in the many disciplinary domains in which students are taught. In addition to knowing what it means to be a creative teacher, we need to appreciate what it means to be creative if we are a historian, biologist, lawyer, engineer or professional in any other disciplinary field of endeavour. 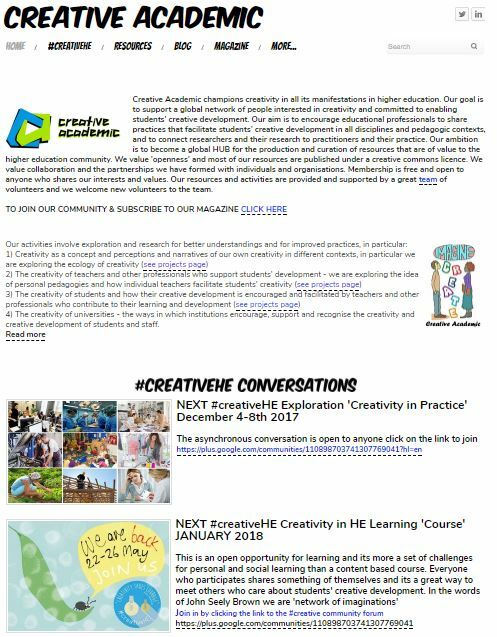 We need to raise awareness of what creativity means in these different contexts and encourage educators to support forms of learning that will enable students to develop the forms of creativity that are most appropriate for their field(s) of study and practice. Examples of what creativity means in disciplinary learning and practice. Nb the Modern Languages and Art & Design papers are not my own. 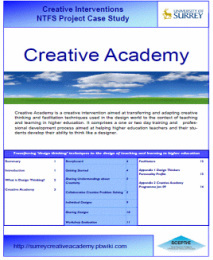 Creativity and Pedagogy - the imaginative curriculum project also examined some pedagogic approaches to creativity. This was a field that we could have explored much more and to some extent it shaped my subsequent work after I left the Higher Education Academy. With Fred Buining, a talented facilitator, we developed a Creative Academy - 1 or 2 days of workshop-based activities aimed at transferring and adapting creative thinking and facilitation techniques used in the design world to other disciplinary teaching and learning contexts in the world of higher education. Creativity in the work environment In 2006 I took my understandings of creativity with me to the Surrey Centre for Excellence in Professional Training and Education at the University of Surrey. We developed a programme of work around two ideas - the first was 'Learning to be Professional'. In 2009 I initiated an e-book on the theme of 'Learning to be Professional', to encourage others to pool their understandings of what it means and disseminate the work of SCEPTrE. I began to examine what creativity meant in the contexts students' learning and development in the work placement environment and to appreciate that learning to be professional involves learning to be creative in the contexts in which professionalism is being applied. 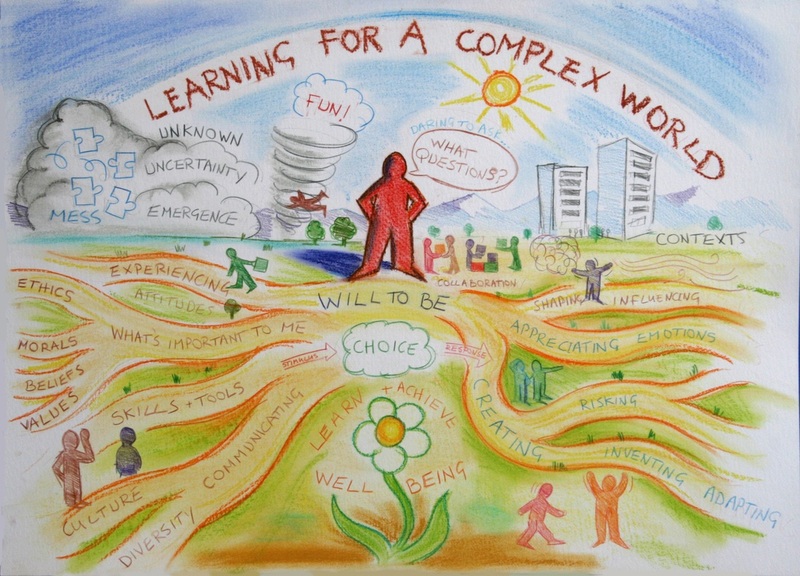 The second idea we created in 2007 to guide our work was the idea of learning for a complex world. This is not the world that we know but the emerging world that is over the horizon. The world that has yet to be invented. The world that we, humanity and nature invents and the world that demands our individual and collective creativities. 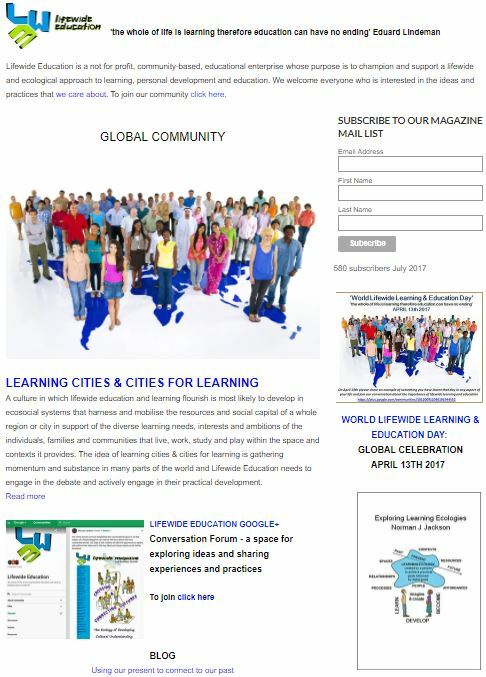 The idea of a lifewide curriculum as an educational structure that would enable people to develop themselves for a complex world began to form in 2008. This also provided a vehicle for valuing students' creative development in all the spaces and places they inhabited while they were at university. The ideas of lifewide learning and education grew out of our struggle to understand how we might turn our abstract ideas into concrete educational practices. The way I have structured this story shows how my interest creativity as an essential form of student development brought me to the conclusion that higher education must pay attention to student development in a holistic sense. SCEPTrE's work was summarised in this book. When I left the University of Surrey in 2011 I founded Lifewide Education a social enterprise to promote and develop a lifewide approach to learning, education and personal development. This also provided me with a vehicle to continue to work on creativity and in 2015 Creative Academic was born. I am continuing to examine the idea of how our personal creativity develops and is continually utilised through all the experiences that make up our life. 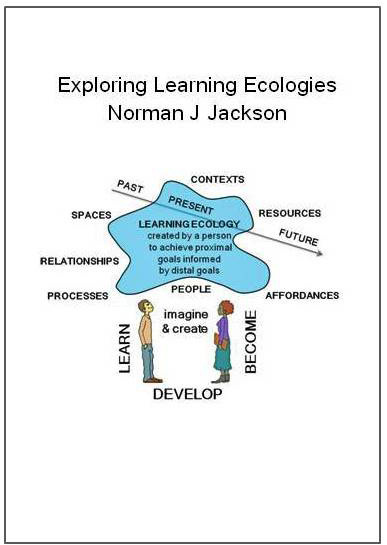 I am currently exploring the idea of learning ecologies and how personal creativity features in them. to support a global network of people interested in creativity in higher education and committed to enabling students' creative development. ​ I am commissioning editor for Creative Academic Magazine that we use to explore different aspects of creativity.